I was out this way for work and had 30 minutes to spare, so I decided to stop off at Wildekraans. 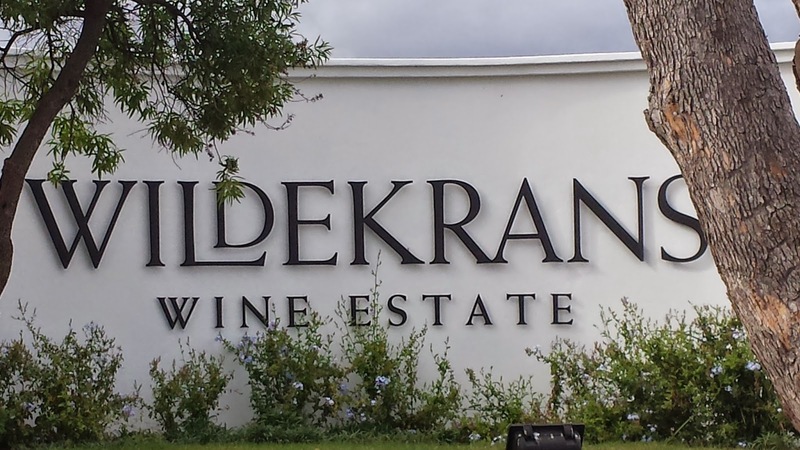 This winery is on route from Cape Town to Hermanus and about 2-5 minutes drive off the highway (once you have turned off from the N2 towards Hermanus). If you are heading on the N2 from Cape Town to Swellendam then you turn off the highway towards Hermanus and not even five minutes later you turn off for Wildekrans. It really isn't much of a detour, if you need to get back on the N2, which is nice. It is a nice estate, and the vineyards look well kept.They look like they are sitting on some relatively rocky soil? 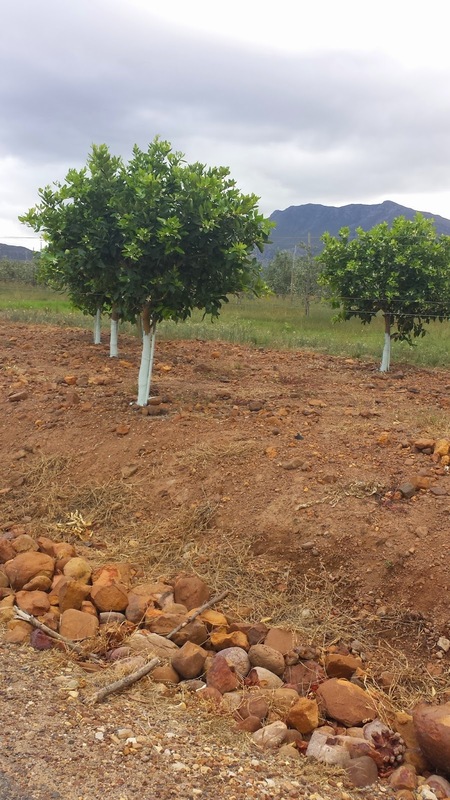 Yet it looked like the vineyards were on the less interesting/rocky soil areas. I was welcomed by a lady at the tasting room. It was a quite a good size room and I saw they have outdoor seating as well, so I imagine one can enjoy a tasting inside or outside. The lady serving me did a great job in providing an informative tasting. You could tell she had been working for the company for a while, she was confident and could speak well about each wine. My overall experience was very good. 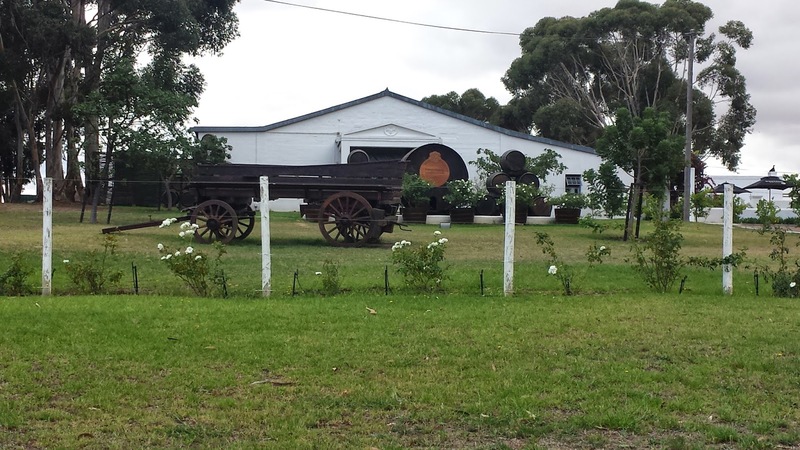 The first vintage produced here was 1992/1993 and the winemaker is William Walkenson. Estate Sauvignon Blanc 2014 at R52 a bottle. It lacked aromatics on the nose, had a fresh tropical flavour on the palate, was a little floral, and had a flour mouth-feel on the finish. Again not much on the nose, had lovely balance between fruit and acidity. This wine was matured for 3 months in all new oak barrels. It lacked again on the nose, had a nice mouth-feel on the palate, soft fruit flavours coming through, very light flavour though. Slight acidity on the finish. Good lingering finish with freshness and acidity. 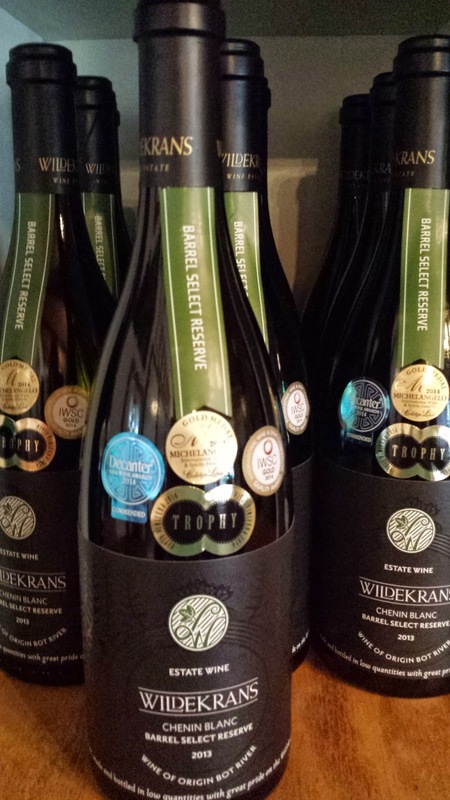 Premium Chenin Blanc Barrel Select Reserve 2013 (flagship white) at R170 a bottle. This wine was matured in new oak barrels for 12-15 months. Good flavour on the palate, lovely honey tones, oak compliments with slight nuttiness. The lady informed me that there are honey bush planted between the vines which has an impact on the flavour of the wine. This wine had some sharp/fresh flavours and a little bit of acidity on the finish, as well as a nice lingering finish. There is minerality on the mid palate and finish. Estate Range Cabernet Franc/Merlot 2012 at R75 a bottle. This wine spent 12-15 months in 2nd and 3rd fill french oak barrels. It had an interesting nose with hints of cigar and fynbos. It was nice and soft on the palate, light - medium weight, a little dry on the finish. Earthy tones and fruit on the palate. It is a nice blend. Aging potential 7 years. Drink before 2019. Estate Range Pinotage at R77 a bottle. Interesting/unusual aroma. It felt like it was the alcohol hitting me, but it was only around 14%. it was a little dry on the palate, sharp on the finish. I wasn't a fan. Premium Range Cape Blend Barrel Select Reserve 2012 at R175 a bottle. Spent 18 - 24 months in new french oak barrels. It is a blend of Pinotage, Shiraz and Cab Sauv. Lovely and soft, good flavour with fruit, spiciness and earthiness. Medium body and a little dry on the finish. After visiting Dalla Cia, I figured I might as well tick off one more winery while in the area and stopped at the tasting room at High Road. I wasn't sure if this winery was by appointment only or if you can walk in anytime, so I walked in and a lady was upstairs in the office. It turns out I was in luck, as she had some free time. We went downstairs to do the tasting. 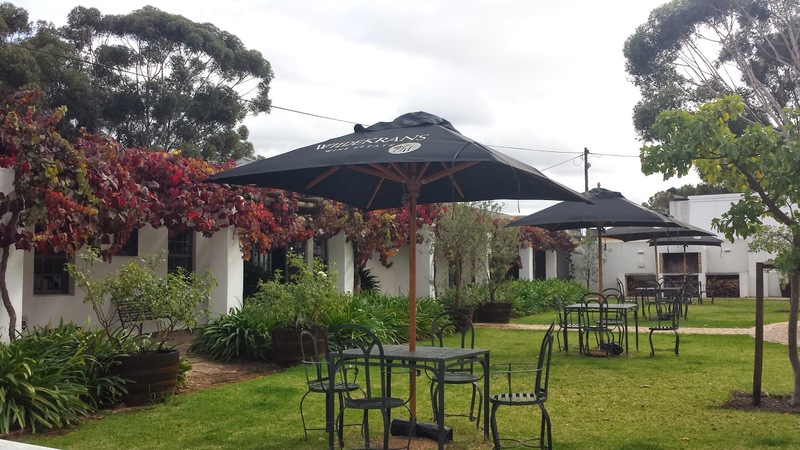 The lady serving us was very pleasant, had been with the brand for a while so could speak confidently about the wine and made us feel very welcome. 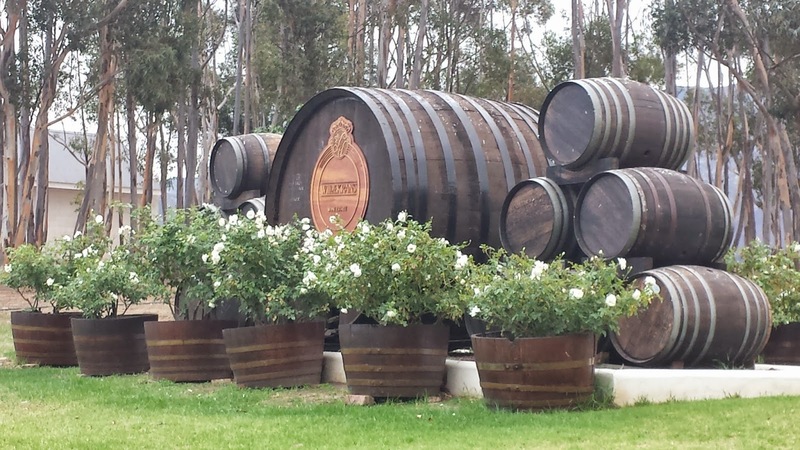 We tasted the Classique 2010 at R115 a bottle. This is 41% Cabernet Sauvignon, 39% Merlot and 20% Cabernet Franc. It had lovely sherry/port/sweetish tones on the nose. It was light on the palate, had soft tannins and wasn't dry. It didn't have a lot of flavour. It was soft, a little spicy and approachable. Then we tasted the Director's Reserve at R245 a bottle. This is 69% Cabernet Sauvignon, 19% Merlot, 8% Cabernet Franc and 4% Petit Verdot. It had a soft overripe fruit nose, was soft on the palate, had pleasant flavour, soft tannins, good fruit, dry, good finish, ripe flavours. Both of these wines are Bordeaux blends and vintage specific. 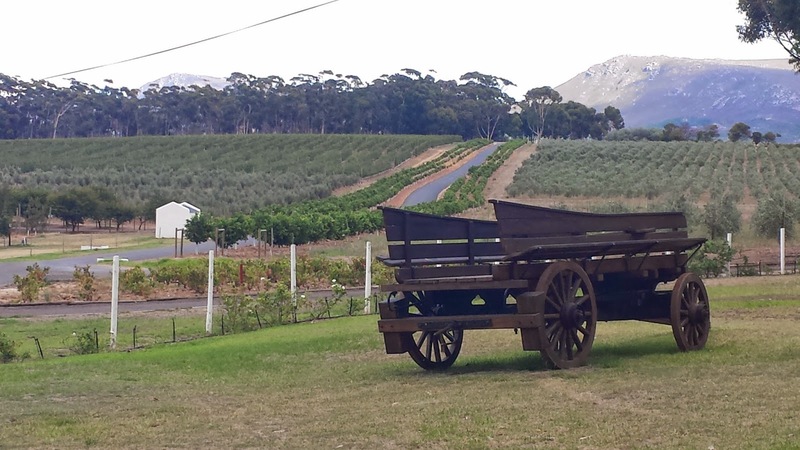 They buy in the grapes from the Helderberg, Devon Valley and Poladraai regions. 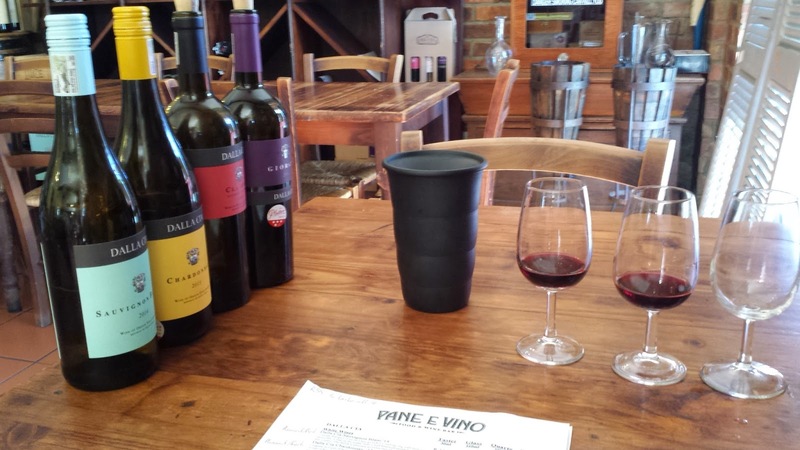 The other day I needed to drop off wine samples to ViniLab so I quickly popped in to Pane E Vino to see what the Dalla Cia wine was like. It costs R55 to taste all 4 wines. The waitress brings four glasses, pours each wine, tells you what each one is (i.e Sauv blanc, Chard etc) and leaves you to taste. 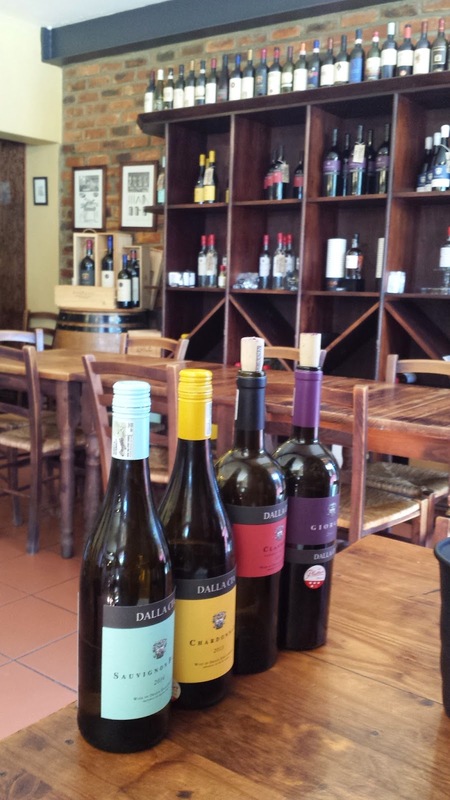 Dalla Cia Sauvignon Blanc 2014 is R125 a bottle. This had lovely tropical fruity and crisp aromas, it lacked body. It had a fresh finish, acidity was balanced, floral tones on the finish. Subtle fruit flavour. Overall a pleasant and fresh drinking wine. Dalla Cia Chardonnay 2013 is R162 a bottle. It had an oxidative nose, light barrel character, light buttery and creamy yet fresh finish and fresh flavour on the palate. Round mouth feel but light. Overall a pleasant and fresh wine. Dalla Cia Classico Cabernet Sauvignon 2013 at R189 a bottle. Typical Cab Sauv with that cigar box and spices on the nose. It was dry, medium bodied, shy (needs time or food? ), tannins are prominent, chocolate tones and not much fruit on the palate. It was overall ok, a bit dry and lacked character. Dalla Cia Giorgio 2011 at R295 a bottle had a sweet port/sherry nose, was light on the palate, a little spicy, little dry, balanced but again not much flavour. Overall it was ok, balanced but nothing exciting. Pane E Vino was a nice looking restaurant, it looked like a deli/bakery kind of cafe. It had a nice atmosphere and the staff were pleasant and friendly. I didn't eat here, so I cannot comment on the food. The overall experience was fine but you don't come here for the views, vineyards, cellar etc. 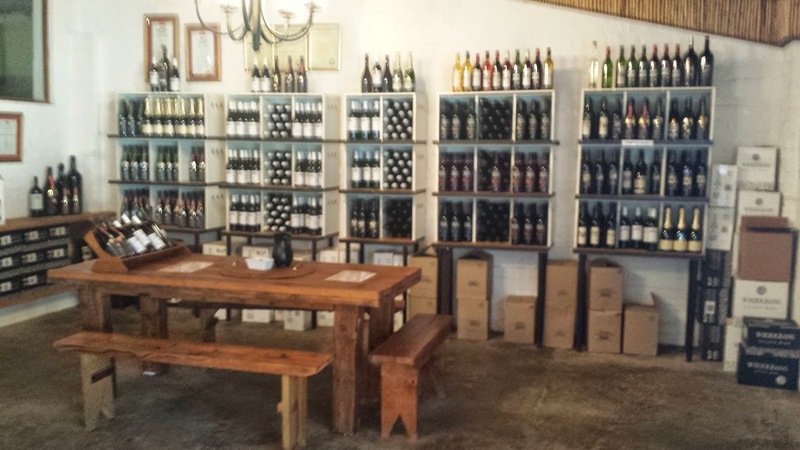 It is simply for the convenience of being able to try the Dalla Cia wine here (and the food if you eat here). Recently I was at Buratta and my friends ordered a Wild Yeast Chardonnay from Springfield. I was really impressed with this wine. Then I was at Schoon Oordt in Swellendam and I was introduced to the Miss Lucy which is a blend of Sauvignon Blanc, Semillon and Pinot Gris, this was also very nice. 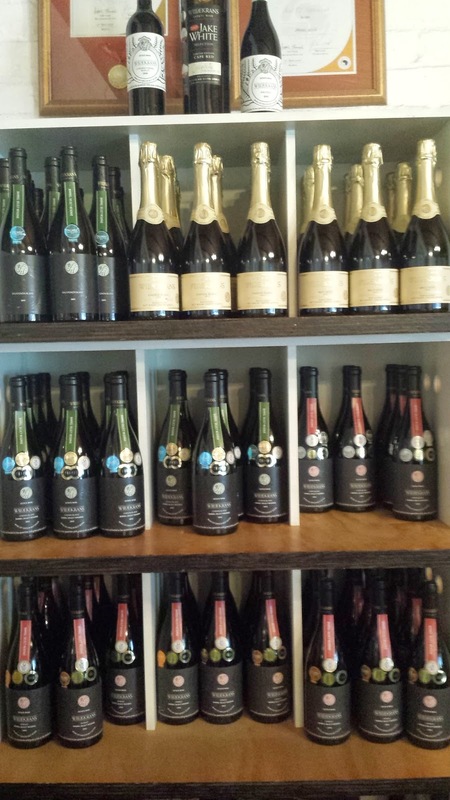 When I found myself staring at the whole range of Springfield wines at Delish in Heidelberg, I decided to try more from their range. I purchased the Life From Stone, Reserve Cuvee Sauvignon Blanc and the Pinot Noir 2010. Out of all of them, the Pinot Noir impressed me the most, the two Sauvignon Blancs were quite similar and neither jumped out at me as a wow Sauvignon Blanc. The Newstead 2014 Sauvignon Blanc is still my favourite at the moment. Pick up minerality, green tones, a bit of asparagus, guava, creamy and fruitiness on the nose. Yes I could smell the creaminess of the wine. Sure enough on the palate it was soft and creamy, it had good body and I picked up flavours similar to Feijoa on the palate. I didn't enjoy the taste of the wine. There was a bit of acidity on the finish. I think this is best drunk ice cold. The Reserve Cuvee Sauvignon Blanc didn't have so much to offer on the nose, but what I did pick up was similar to the Life from Stone, only it was very faint. This wine was lighter on the palate and had more freshness. It had lovely tropical fruit flavours and the acidity on this was balanced. It was a pleasant Sauvignon Blanc. Pinot Noir 2010 had a glazed cherry smell, was light on the body, had very little tannins, was light in flavour and on the finish. It was a non-offensive light red wine with a little sharp feeling right on the finish. It lingers quite nicely. Not a bad wine at all. I would buy another bottle of this wine.